“The Bible will come alive for you! It will be a life-changing trip!” I could tell that my mentor really wanted me to go on a tour of Israel. Few years later, we took him up on it. Since then, my wife and I have visited the Holy Land several times and it is truly everything and more than you can imagine! In our last tour in January, along with the usual sites (Galilee, Jordan River, Jerusalem, Bethlehem, etc. ), we visited six Middle Bronze Canaanite cities in Israel (Megiddo, Hazor, Tel Dan, Beth Shan, Jericho, and Jerusalem). In the chronology of the Levant, the Middle Bronze period is between 1800BC-1550BC. Although scholars disagree over the precise terminology, this is the time period when the land God promised to Abraham, Isaac, and Jacob was occupied by the Canaanites and the Amorites. These were the cities that God told Moses to lead the people of Israel to go in and possess. 1. They were master builders. In order to protect their cities, they first built massive free-standing walls (some places 50 ft tall) around the city. This was followed by a massive embankment with crowning walls. All this was psychological warfare to discourage an invading army from wasting their time. 2. They understood hydraulics and built massive water storage facilities, underground drainage, and irrigation lines. 3. They were very good farmers, pottery makers, and metal workers. They learned how to make bronze by alloying copper with tin. Now they had weapons that could be shaped and sharpened. They even had an export business with Egypt. 4. They created the ancestor of our English alphabet. Unlike the Egyptian hieroglyphs and the Mesopotamian cuneiform, their descendants (the Phoenicians) standardized the 22 signs for each sound that we use to this today. Nonetheless, as advanced and prosperous as these people were, something was not right with them. Deuteronomy 12:29-31“When the LORD your God cuts off from before you the nations which you go to dispossess, and you displace them and dwell in their land, take heed to yourself that you are not ensnared to follow them…for every abomination to the LORD which He hates they have done to their gods; for they burn even their sons and daughters in the fire to their gods.”In other words, they practiced every kind of perversion imaginable but worst of all, they sacrificed their babies to their god Molech! Although literary evidence from Canaan is scant, there is plenty regarding the Phoenicians, the Canaanites who established a colony in North Africa. Siculus, a Greek historian, wrote – “There was in their city a bronze image of Cronus extending its hands, palms up and sloping toward the ground, so that each of the children when placed thereon rolled down and fell into a sort of gaping pit filled with fire.”Plutarch, another Greek writer, added that “the whole area before the statue was filled with a loud noise of flutes and drums so that the cries of wailing should not reach the ears of the people.” Historians and archaeologists would deny these accounts claiming that it wasn’t possible for such an advanced culture to do something so heinous. In 2014, Dr. Josephine Quinn of Oxford University along with a team of scholars confirmed these accounts as absolutely true based on further research. Introduction: How many of you would agree that smells can trigger a memory from the past? You’re at a hotel swimming pool and the smell of chlorine reminds you of playing in the pool as a kid. You smell apple pie and it takes you back to grandma’s house. Every fall when Nicole smells leaves burning, it takes her back to when she would help her dad in the yard as a little girl. For me, it’s the smell of leather that takes me back to when I would polish my dad’s shoes as a little boy. For each of these flashbacks to work, you have to be there in the past. In today’s message, we’re going to have a flashback to a meal 2000 years ago. I’m talking about the final meal that Jesus ate with his disciples before going to the cross! You’re thinking, how can I remember a meal from 2000 years ago when I wasn’t there! If you have received Christ as your Savior and King, you were there. Let the word jog your memory. Let the scriptures override your senses. 1 Corinthians 11 23For I received from the Lord that which I also delivered to you: that the Lord Jesus on the samenight in which He was betrayed took bread; 24and when He had given thanks, He brokeitand said, “Take, eat; this is My body which is broken for you; do this in remembrance of Me.” 25In the same mannerHealsotookthe cup after supper, saying, “This cup is the new covenant in My blood. This do, as often as you drinkit,in remembrance of Me.” 26For as often as you eat this bread and drink this cup, you proclaim the Lord’s death till He comes. Question: Do you remember what happened 2000 years ago? Can you see Jesus passing the bread and the cup to you? Has there been a time in your life when you asked him to be your Savior and your King? Are you saved? Context: If there’s one subject that Christians disagree over more than any other, it’s probably the Communion. It’s right up there with Baptism. Just think of the many names we have for it, just in English: Holy Communion, The Lord’s Supper, The Lord’s Table, The Eucharist, The Mass, The Sacrament of the Altar, The Blessed Sacrament, The Breaking of the Bread, The Bread and the Wine, and so on and on. One major reason for these disagreements is that through the centuries people have taken Paul’s words in I Corinthians 11out of its Jewish setting.This was not just any ordinary meal. It was a Passover Meal. Even though John tells us in his gospel that the Passover was the next day, I believe that Jesus knew that he was going to die on that Friday as God’s Passover Lamb and so he chose to celebrate Passover on Thursday evening with his disciples. We mistakenly think that all the lambs had to be butchered at the temple. By the time of Jesus, there were so many pilgrims coming to Jerusalem for the Passover that it was impossible to do that. So, people slaughtered their own Paschal lambs. When we examine this meal carefully, it has all the markings of the Passover Meal.In verse 25 it says,“In the same manner He also took the cup after supper. . .” What is the cup after supper? There were 4 cups at the Passover Meal: 1. The first cup was poured as the Father recited his blessing over the wine and over the day. 2. The second cup was poured and the son asked questions about the special food of the meal. 3. The third cup was poured after the supper as the Father recited grace after the meal. 4 The fourth cup was poured and the Father recited the Hallel and the blessing over the song. Guess which cup is being referred to in I Corinthians 11:25? The third cup. This was the Cup of Blessing, which Jesus recast as the Cup of the New Covenant in his blood. Can you imagine how this must have puzzled the disciples? By the way, let me say very quickly – Jesus did not drink the final fourth cup with them. Listen toMatthew 26 29“ ‘But I say to you, I will not drink of this fruit of the vine from now on until that day when I drink it new with you in My Father’s kingdom.’ 30And when they had sung a hymn, they went out to the Mount of Olives.” Why did he not drink the 4thcup?Two reasons: First, he still had to shed his blood as the Passover Lamb; Second, he wanted all of us to join him around the table in his Father’s Kingdom. Application:Are you looking forward to that banquet table? Many of us grew up in homes and families where people did not get along. You wish you could have one of those Norman Rockwell family get togethers with everyone around the dinner table. People in your family are at odds with each other over things that happened 30 years ago or 3 days ago. There is coming a day when all disagreements will be put aside and it will be the banquet of eternity! Will you be there? Only if you know Christ as your Savior. There’s something more. Go back to verse 23“. . . the Lord Jesus on the samenight in which He was betrayed took bread; 24and when He had given thanks, He brokeitand said, ‘Take, eat; this is My body which is broken for you. . .” This bread was the unleavened Passover Bread. It commemorated the night of the Passover in Egypt when God told them not to waste any time to let the dough rise. Deuteronomy 16:3refers to it as “the bread of affliction.”Jesus did not give the typically explanation of the meaning of the bread but he changed its representation to himself and told them to eat it saying in verse 24 “. . . do this in remembrance of Me.” Why did he do this? Jesus was pointing back to Exodus 12:14 “So this day shall be to you a memorial; and you shall keep it as a feast to the LORD throughout your generations. You shall keep it as a feast by an everlasting ordinance.” The memorial was not just for the first generation but for all generations. The Mishnah (Oral Torah) tells us how they understood the word “memorial” – “In each and every generation a person must view himself as though he personally left Egypt. . .” By the way, the name of the Rabbi who said that was Gamaliel, the mentor of Paul. When Jesus told them to eat the bread and the bread was him and drink the cup and it was his blood, he was telling his disciples that they were sharing with him in his substitutionary existence. This does not mean that they were going to suffer and physically die along with him for their sins. They were only spiritually connected with him as he was dying for them. But, in the process, they were also dying. Same thing with the cup. By drinking, they were also sharing with him in his substitutionary existence. This does not mean that their physical blood was going to be shed for their sins. They were only spiritual connected with him as he was dying for them. But, in the process, they were also dying and being buried. How does this apply to us? When Jesus said “do this in remembrance of me,” he wasn’t talking to just the first disciples. He was also speaking to us in every generation. Just like the Jewish Passover, where every person was to view himself/herself as if he/she personally left Egypt, when we partake of the Communion, we are to see ourselves sitting in the room 2000 years ago on the night before Jesus went to the cross. Listen to I Corinthians 10 16“The cup of blessing which we bless, is it not the communion of the blood of Christ? The bread which we break, is it not the communion of the body of Christ? 17For we, thoughmany, are one breadandone body; for we all partake of that one bread.”All this is to be done by faith. Closing: There is no other religion like Christianity where the founder is connected beyond time to every person who has received him and every person who has received him is connected to each other. Baptism also does the same thing but it’s our individual identification with Christ and Communion is our corporate identification with Christ. Do you know Christ as your Savior and King? Are you connected with him right now? Have You Received God’s Eternal Love? Revelation 13 1 Then I stood on the sand of the sea. And I saw a beast rising up out of the sea, having seven heads and ten horns, and on his horns ten crowns, and on his heads a blasphemous name…6 Then he opened his mouth in blasphemy against God, to blaspheme His name, His tabernacle, and those who dwell in heaven. 7 It was granted to him to make war with the saints and to overcome them. And authority was given him over every tribe, tongue, and nation. 8 All who dwell on the earth will worship him, whose names have not been written in the Book of Life of the Lamb slain from the foundation of the world. Question: Who is Jesus to you? Is He just one of many ways to God or is He the Lamb of God? Is He just a good thing to have along with many other things or is He your only hope of salvation? Do you understand the eternal love of God for you and me even before time began? Are you saved? Today we will try to understand the eternal love of God for us in Jesus Christ. First, we will see what a counterfeit looks like and then, we will see the true savior. Listen again to verse 1 Then I stood on the sand of the sea. And I saw a beast rising up out of the sea, having seven heads and ten horns, and on his horns ten crowns, and on his heads a blasphemous name. What exactly is going on here? First, what is this sea? Revelation 17:15 clarifies that “The waters which you saw, . . . are peoples, multitudes, nations, and tongues.” The sea is the “sea of humanity.” Out of the millions of faces in the sea of humanity there will rise the beast who will grow in prominence and power. Some think that this beast will be a religious organization. Others think it’ll be a king or a kingdom. Either way, the source of this beast will be this world. By the way, the source of Jesus is not this world. He made this world but He is from above. Verse 2 “The dragon gave him his power, his throne, and great authority.” The Dragon of course is Satan who will offer the beast all this. Do you remember the last time Satan offered someone all the kingdoms of the world and authority and glory? It was to Jesus when He was fasting in the wilderness. Jesus refused but the beast will receive it. Verse 3 “And I saw one of his heads as if it had been mortally wounded, and his deadly wound was healed. And all the world marveled and followed the beast.” Do you see what’s happening here? Satan is creating a counterfeit savior! The beast will die and then he or it will be resurrected just like Jesus died on the cross but rose again on the third day. Verse 4 “So they worshiped the dragon who gave authority to the beast; and they worshiped the beast, saying, ‘Who is like the beast? Who is able to make war with him?’” Just as God the Father receives the worship through God the Son, the devil will receive worship through the beast. Then he will blaspheme God and use charming words to draw people away from Christ and even war against God’s people and overcome them. Throughout the history of this world, Satan has been trying to counterfeit the true Savior. He tried with Cain by getting him to bring an offering of fruits and vegetables. He tried it with children of Israel by getting them to worship the golden calf. Satan is not interested in take us away from worship. He just wants us to worship some false substitute. Application: Whom are you worshipping? Is it the counterfeit or is it the Lamb slain from the foundation of the world? The counterfeit doesn’t have to be a scary beast or Antichrist. It can be self. It can be religion. It can be a false idea or view of God. If it’s anything or anyone other than Christ, then you are lost? Remember when Abraham was told in Genesis 22:2 “Take now your son, your only son Isaac, whom you love, and go to the land of Moriah, and offer him there as a burnt offering on one of the mountains of which I shall tell you.” On the way there, Isaac asked his father in verse 7 “Look, the fire and the wood, but where is the lamb for a burnt offering?” 8 And Abraham said, “My son, God will provide for Himself the lamb for a burnt offering.” 9 “…And Abraham built an altar there and placed the wood in order; and he bound Isaac his son and laid him on the altar, upon the wood. 10 And Abraham stretched out his hand and took the knife to slay his son. 11 But the Angel of the LORD called to him from heaven and said, “Abraham, Abraham!” So he said, “Here I am.”…13Then Abraham lifted his eyes and looked, and there behind him was a ram caught in a thicket by its horns. So Abraham went and took the ram, and offered it up for a burnt offering instead of his son. 14 And Abraham called the name of the place, The–LORD–Will–Provide; as it is said to this day, “In the Mount of the LORD it shall be provided.” Jehovah Jireh literally means “Jehovah will see.” This was a foreshadow of the Lamb of God. Remember in the Book of Exodus the Hebrews where in slavery in Egypt. In Exodus 2:24 God heard their groaning, and God remembered His covenant with Abraham, with Isaac, and with Jacob. He sent Moses to redeem His people. Pharaoh kept hardening his heart and God sent one plague after another. Then came the final plague – death of every male firstborn. God told Moses in Exodus 12 3 Speak to all the congregation of Israel… “…every man shall take for himself a lamb…5 Your lamb shall be without blemish…6…Then…kill it at twilight. 7 And they shall take some of the blood and put it on the two doorposts and on the lintel of the houses…” 23 For the LORD will pass through to strike the Egyptians; and when He sees the blood on the lintel and on the two doorposts, the LORD will pass over the door and not allow the destroyer to come into your houses to strike Just as God had told them, it happened. This was a foreshadow of the Lamb of God. In I Corinthians 5:7 Paul says, “…For indeed Christ, our Passover, was sacrificed for us.” So also Peter in I Peter 1 says 18 knowing that you were not redeemed with corruptible things, like silver or gold…19 but with the precious blood of Christ, as of a lamb without blemish and without spot. 20 He indeed was foreordained before the foundation of the world, but was manifest in these last times for you. While the question in the Old Testament was “Where is the Lamb?” the answer in the New Testament was “Behold the Lamb.” John 1:29 The next day John saw Jesus coming toward him, and said, “Behold! The Lamb of God who takes away the sin of the world! Again in John 1:36 And looking at Jesus as He walked, he said, “Behold the Lamb of God!” Everywhere Jesus went and everything He did He was allowing the people to examine Him and to see that He was indeed the spotless Lamb of God. While the question in the Old Testament was “Where is the Lamb?” and the answer in the New Testament was “Behold the Lamb,” the focus in the rest of eternity will be “Worthy is the Lamb!” In the Book of Revelation 29 times Jesus is referred to as the Lamb of God. This morning we are in the gospel of Matthew chapter 1 for our series on the life of Christ from all four Gospels. Today’s message is titled “SACRIFICE: THE MISSING LINK.” If there is one thing lacking in our culture today, it is sacrifice. We do what is expected of us and maybe a tad bit more but that’s it. Sadly, this is also true of many Christians. In today’s message we will see from the life of Joseph what true sacrifice looks like. Matt. 1 18 Now the birth of Jesus Christ was as follows: After His mother Mary was betrothed to Joseph, before they came together, she was found with child of the Holy Spirit. 19 Then Joseph her husband, being a just man, and not wanting to make her a public example, was minded to put her away secretly. 20 But while he thought about these things, behold, an angel of the Lord appeared to him in a dream, saying, “Joseph, son of David, do not be afraid to take to you Mary your wife, for that which is conceived in her is of the Holy Spirit. How do you convince people like them that miracles are possible? The place to begin is by asking, “Do you believe in God?” If you can believe that there is a God who created nature, then you can also believe that nature is subjected to Him. Miracles are simply nature being subjected to its Creator. He can do whatever He wants to. Not only did God perform the miracle of the virgin birth but He is still in the miracle working business. Do you believe that? He is still healing the sick, answering prayers, making the impossible possible, and the greatest miracle of all – changing a sinner’s heart. According to the Pew Research in 2013, 73% of Americans believe in the Virgin Birth. But there is another issue in this passage that often gets overlooked – it is sacrifice. In this passage we come across Joseph – an unsuspecting spectator who became part of the greatest drama in history. Like Mary, he too had to sacrifice his reputation, comfort, and goals in life for the coming of Jesus. Sadly, we’re living in a time when people cut corners, do the minimum, play it safe, and bailout early. More sadly, it is even among Christians. Application: Would you describe yourself as a selfish or as a sacrificial person? Even better, would others describe you? How will people describe you when you’re gone? “He always got his way.” “She always got what she wanted.” If someone compels you to go a mile, do you go two? If someone tried to take away your tunic, do you also let them have your cloak? Are you willing to deny yourself, take up your cross, and follow Christ? Are you willing to lay down your life so that someone else may find Jesus Christ? By the way, have you truly understood the sacrifice that Jesus made for you on the cross? Until you do, your standards of sacrifice will be too low. This morning as we look at the example of Joseph, let the Holy Spirit challenge you to sacrifice your life for others. If you do not know Jesus Christ, receive His sacrifice for your sins today. 1. HE SHOWED MERCY WHEN HE DIDN’T HAVE TO. 18 Now the birth of Jesus Christ was as follows: After His mother Mary was betrothed to Joseph, before they came together, she was found with child of the Holy Spirit. 19 Then Joseph her husband, being a just man, and not wanting to make her a public example, was minded to put her away secretly. 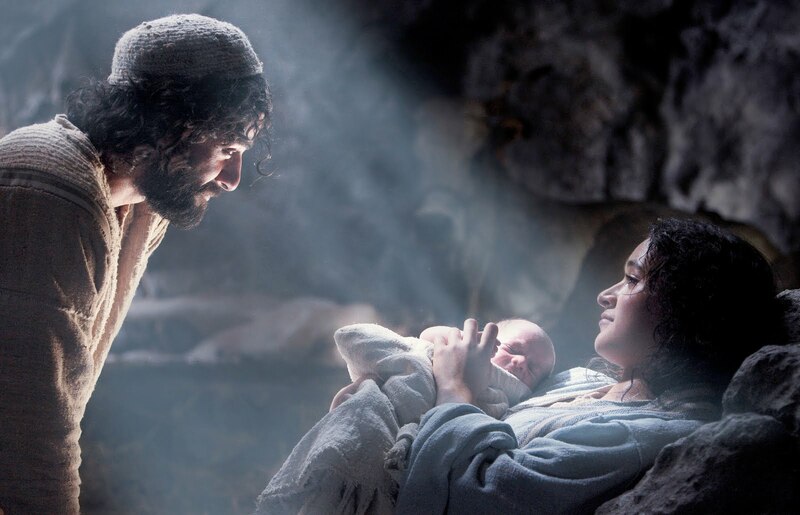 Background: Mary was pregnant and Joseph her fiancé was not the father. This was not good. The penalty for adultery according to the Old Testament was death by stoning but the Romans had abolished all Jewish capital punishments. The worst they could do was divorce, public humiliation, and shunning. Mary would probably never marry again. She could live in the community but as a pariah. Also keep in mind that she was Nazareth, a tiny community of 150-200 people at the time, mostly of priestly lineage, the holier than thou. 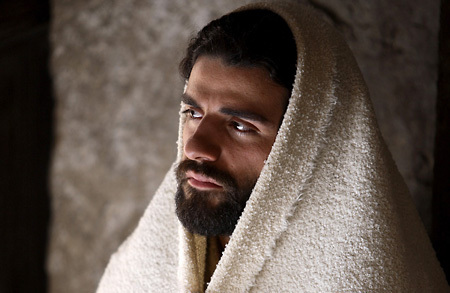 Do you remember Nathaniel’s remark to Philip – “Can anything good come out of Nazareth?” Even Jesus felt their hate when He came to teach in their synagogue. 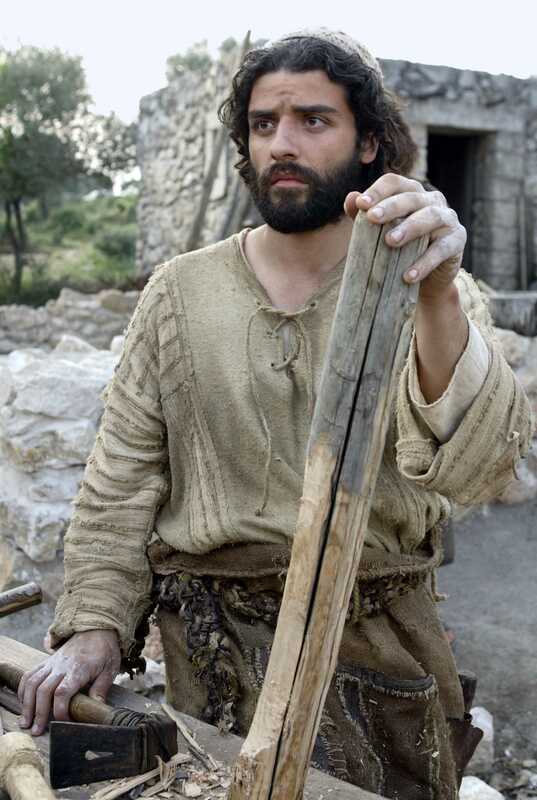 In Matthew 13 they said, 55 “Is this not the carpenter’s son? (They did not even deem it worthy to use Joseph’s name.) Is not His mother called Mary? And His brothers James, Joses, Simon, and Judas? 56 And His sisters, are they not all with us? Where then did this Man get all these things?” 57 So they were offended at Him. But Jesus said to them, “A prophet is not without honor except in his own country and in his own house.” 58 Now He did not do many mighty works there because of their unbelief. Mark 6:6 even adds, “And He (Jesus) marveled because of their unbelief.” Even God was shocked at their hateful and unbelieving spirit. Application: If you were Joseph, what would you have done? Would you have listened to the crowd? Would you have publicly humiliated Mary? Or, would you have compassion on her? It is natural to look down on others and judge them. The first step to a life of sacrifice is to do what doesn’t come naturally. That’s what God did for us. 2. HE BELIEVED WHEN IT WAS HARD TO. 20 “But while he thought about these things…” What is Joseph thinking? I know I can leave this girl and move on with my life. No one is going to blame me but what will this do to her? How does God want me to handle this? Will He be pleased by my decision? Application: Do you think about what God wants you to do? Do you think about the decisions you make? Do you think about how your decisions impact the lives of others? Immaculate Conception teaches that Mary herself was conceived in her mother’s womb as a sinless being. This idea was an invention of the medieval church and even the Catholic Church did not recognize it until 1854, when Pope Pius IX declared it. It is not a biblical doctrine. Perpetual Virginity or “aieparthenos” teaches that Mary was a virgin before, during, and after giving birth to Jesus for the rest of her life. This idea has been held by the Catholic Church and the Orthodox Church since the seventh century. It is not a biblical doctrine either. Assumption of Mary teaches that Mary was taken up into heaven before she died. It is also not a biblical doctrine. Neither is the Dormition of Mary that teaches that Mary died and after three days she rose again. By Virgin birth, we are referring to the virginal conception. It simply means that Mary became pregnant with the baby Jesus without any relationship with any man. It was a miracle of the Holy Spirit. Why did Jesus have to be born of a virgin? To prove that He was sinless, to prove that He was both fully God and fully man, to prove that He came through the Holy Spirit, to be a sign as prophesied by Isaiah. Someone asked me – “Do you have to understand the virgin birth to be saved?” No – the thief didn’t know it. But if someone were to explain it to you as a Christian, you better believe it. What was Joseph’s reaction? 24 Then Joseph, being aroused from sleep, did as the angel of the Lord commanded him and took to him his wife, Joseph could have dismissed the dream and gone about his life but he submitted himself to God’s plan. Many times we cannot understand God’s plan. We want to take the easy way out but there’s so much peace in trusting God’s plan. It is a sacrifice that is worth it. Illustration: Dad refusing to go to the big church in order to take the small church in an obscure part of the country. Why? Because Jesus made the ultimate sacrifice for us. Application: How would you have responded to that vision? Would have taken God at His Word? Would you have taken the narrow road? There’s so much joy in saying – “not my will but Your’s be done.” The buck stops with the Word of God. 3. HE STAYED WHEN HE COULD HAVE BAILED OUT. 25 and did not know her till she had brought forth her firstborn Son. And he called His name JESUS. Background: We read that verse so quickly without thinking of it. The angel had commanded Joseph in verse 21 And she will bring forth a Son, and you (Joseph) shall call His name JESUS (Yahweh is salvation)…” Joseph could have hung out until Mary had the baby and then slipped out. It’s too much. It’s not what I signed up for. He had to stick around and give this baby who was not His own, the birthright of being the first-born. 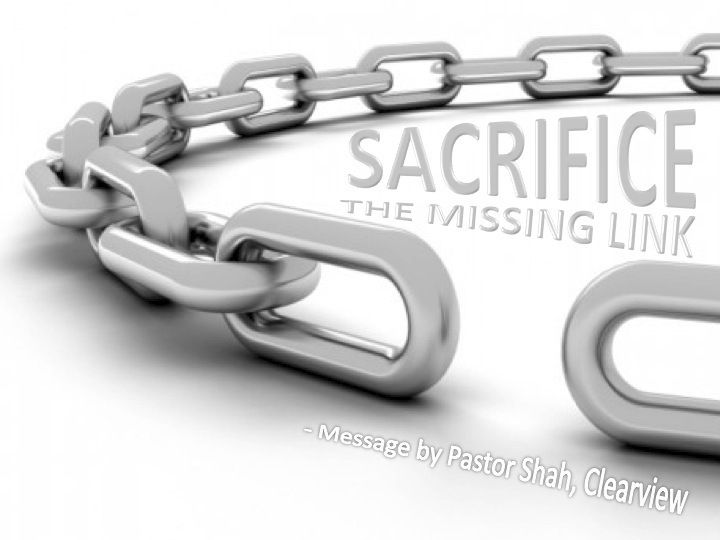 Application: Do you sacrifice for your family, church family, lost, and others? We can never sacrifice too much. Jesus did that! Do you know Him? Have you received His sacrifice for your sins?